Two of the most popular and award-winning body cam companies that police are seeking out for their technical needs are TASER and Vievu. Body cam technology is proving to be a significant contributor in cost-saving efforts for agencies around the world by preventing unnecessary investigations and litigations. The truth is in the recordings. The Louisville Metro Police Department recently partnered with TASER in an effort to provide better transparency to the public from local law enforcement agencies through body cams. LMPD will be spending 96% of its allotted $4.28 million just on storage costs through a cloud-based file management system; however, the licensing with TASER will give the Department unlimited data storage. Any footage not pertaining to an investigation, arrest, etc. will be automatically deleted after 30 days, per Kentucky’s body cam records retention laws. Shorter retention periods reduce the costs associated with data storage. Since this is such new technology, consumers can only choose from TASER and Vievu for their video camera needs. With all technology, it can quickly become outdated. Once the technology is no longer top-of-the-line, you will have to invest more money getting new cameras and new software to accompany the new hardware. The Tracker Products solution for 65% of the cost and there is no migration necessary for a new system when you have to update your hardware. With system-wide integration and multiple agencies needing access to these digital files, the last thing you want to have to do is a system wide migration across multiple agencies. 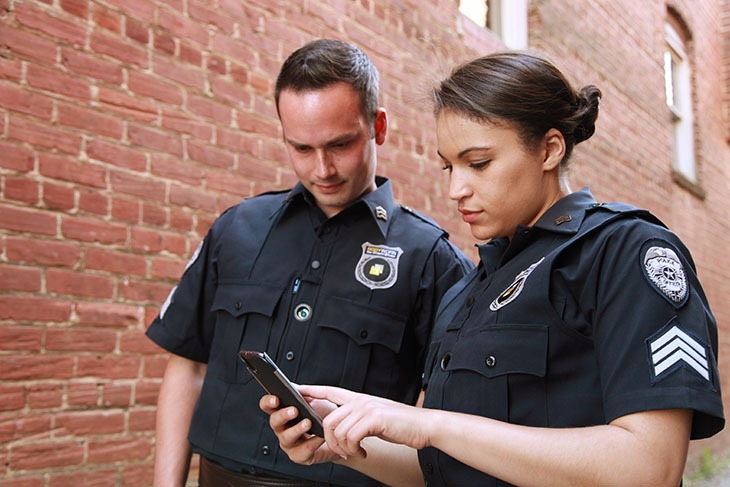 Give your community the increased safety and trust in its police department that it deserves—invest in Tracker Products SAFE today.